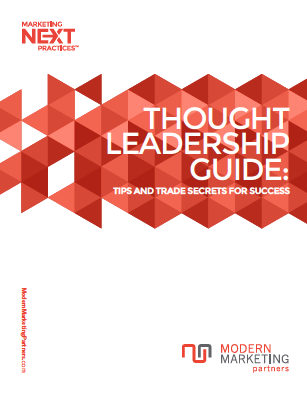 One of the tenets of modern marketing is thought leadership and information sharing. Candidly, if you respect what we have to say, perhaps you will give us a call to help on your next marketing project? To that end, we have a number of marketing white papers and case studies to share with you here. Be sure to check out our marketing blog for even more tips and information. Learn both traditional marketing terms, as well as new marketing terminology. Definitions are conveniently categorized by advertising, branding, direct marketing, market research, product development, public relations, internet marketing, search engine optimization and social media. Today’s tech startup space is a busy and crowded one with statistics showing that a new tech startup is launched every 48 hours in Chicago alone. Extrapolate that statistic nationwide and there is a lot of competition for both customers and investors! This whitepaper will help you to understand what cause marketing is, why it’s good for your business or brand, and how you can implement it effectively. We’ll also share some case studies and an infographic presenting the latest trends in cause marketing. Beside high profile, big budget consumer catalogs like Crate and Barrel or Victoria’s Secret, what are effective techniques for business-to-business or niche market catalogs? 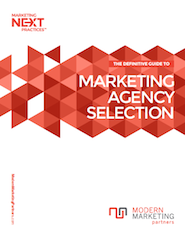 To answer this question, Modern Marketing Partners share Top 10 Catalog marketing best practices, along with some examples and additional resources. How do you market capital equipment? This guide to marketing capital equipment identifies four aspects of capital equipment purchasing, along with three considerations of capital equipment marketing, a capital equipment marketing checklist, and a capital equipment marketing infographic. What are the best practices for budgeting and planning your marketing campaign? Download the Marketing Planning and Budgeting white paper to learn about how you can prepare for and execute an efficient marketing campaign. This Content Marketing Best Practice Guide details 3 phases of the content marketing process: planning, implementation, and measurement. Both business-to-business (B2B) and business-to-consumer (B2C) content marketing scenarios are considered. This whitepaper will identify four (4) reasons that effective IT marketing is more important than ever, followed by Top 10 IT Marketing Best Practices, an IT Marketing Infographic, case study, and links to additional resources. How does public relations integrate with today’s modern marketing practices? What are best practices for marketing publicity? Download the New Rules of PR: A Guide to Modern Publicity so you can see how PR applies to today’s marketing practices. Frequently called marketing metrics, depending on the scale of your company or program, measuring marketing results can range from simple to a variety of complex methods and approaches. 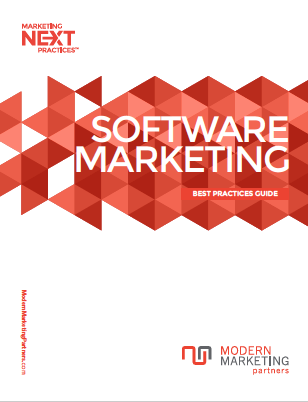 Download the whitepaper on modern rules for How to Measure Marketing and learn various tactics for marketing measurement. What are channel partner marketing best practices? Download this whitepaper by filling out the form below to learn 4 reasons why channel partners should reconsider marketing, top 10 marketing best practices for channel partners, and the new channel partner marketing imperative.